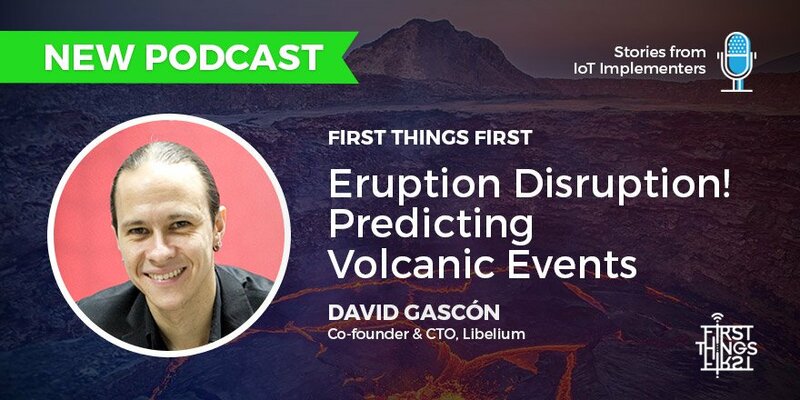 First Things First (sponsored by Telit) interviews David Gascón, Libelium CTO. Gascón talks about what it was like developing an IoT device built to be placed anywhere, including the inside of a volcano. He discusses the process of designing and testing an application built for one of earth’s most volatile environments and offers his advice on choosing the right sensors for your IoT application.